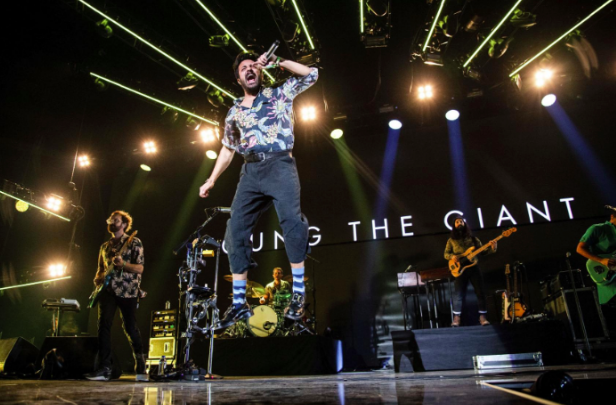 Millersville University and student-run organization Marauder Music Productions hosted their annual Festi-Ville concert on Saturday, April 13th beginning at 1:00 PM featuring Young The Giant. This year’s show was bigger than ever, featuring 35 bands on four stages across campus. Proceeds from the show will benefit the American Foundation for Suicide Prevention, and speakers from AFSP presented throughout the day. This year’s show was organized by Millersville University students, both from Marauder Music Productions and other on-campus student organizations. Of the 35 bands featured, many comprised of current Millersville students and alumni. Other acts hailed from local universities in Central PA, to as far away as Minnesota. The bands were spread out among four different stages across the MU campus. The all-day event was catered by four different food trucks with a variety of cuisines. Matt DeLozier is the Social Media Manager of Marauder Music Productions. His email is medelozi@millersville.edu. He can also be reached at (484) 651-2340.